Item # 280553 Stash Points: 798 (?) This is the number of points you get in The Zumiez Stash for purchasing this item. Stash points are redeemable for exclusive rewards only available to Zumiez Stash members. To redeem your points check out the rewards catalog on thestash.zumiez.com. Stance's Punker Skunker Classic Crew Socks offer medium cushioning and a combed cotton construction for comfort. A reinforced heel & toe provides durability and medium cushioning while the athletic ribbing makes for a secure fit. 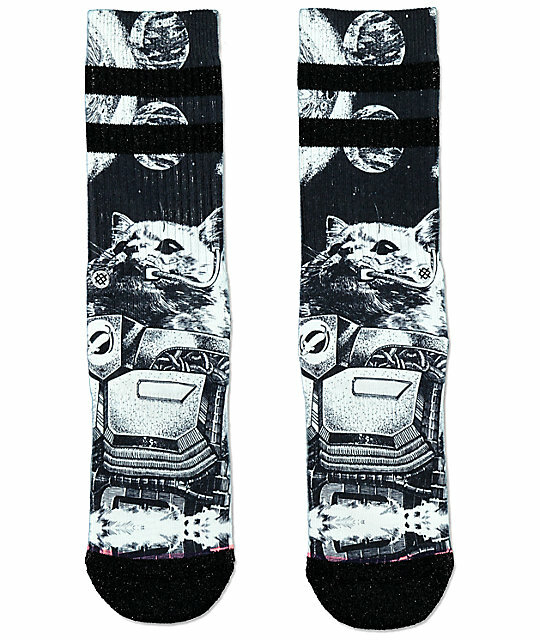 The Punker Skunker Classic Crew Socks feature a black and white graphic of a furry creature flying a space ship to the moon. 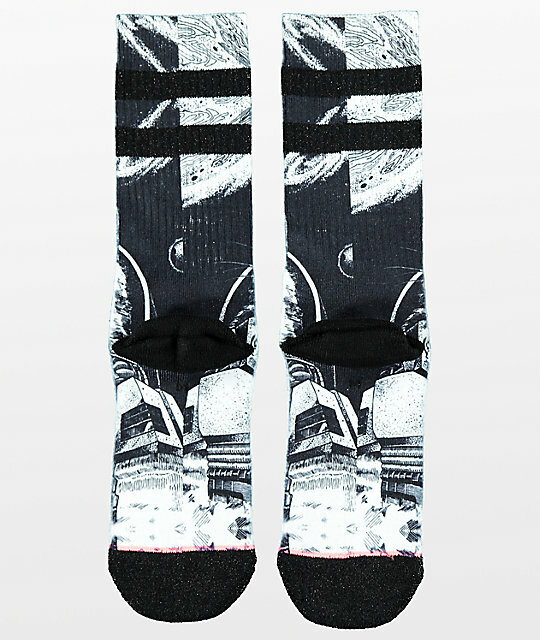 Punker Skunker Crew Socks from Stance. Size Medium fits women's shoe size 8 - 10.5 US. Black & white graphic of furry creature landing on moon. Black glitter varsity tube sock stripes. Terry loop in forefoot, heel & toe for medium cushion.